Today's work environment demands up-to-date access to the right information at the right time, and the ability to present vital facts in a timely manner. Our core mission is to support our client's communications needs, and to make their priorities, ours! After working as an Account Executive for a series of duplication, production and post-production companies, Company President John Kaplow spent three years as Executive Producer/GM for Eye On Productions in Newark, NJ, culminating in a near-famous series of videos for Anheuser Busch and their local Bud Light branding team. NJ MediaWorks was started in 1984 as New Jersey Video Works by John as his first solo effort. 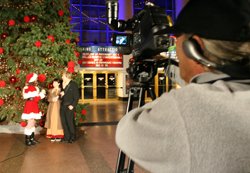 In 1998, to reflect the continued integration of computer technology and digital media into the production workflow, the company's name was changed to NJ MediaWorks. We have produced internal sales programs for Blue Cross Blue Shield's corporate fitness center, and a program to improve the training of their CSR's. We have helped Habitat for Humanity of Long Branch with programs for volunteer recruitment and capital campaign events, and :30 & :60 spots for use on local cable. We have supplied NJ Transit with construction documentation videos of the Frank R. Lautenberg Secaucus Junction station, and traveled to Texas for Ebasco Constructors to shoot construction draw videos of the LBJ Freeway. And yes, we've even done the obligatory music video, shooting around Newark on 16mm film and shown on USA and MTV Networks! In the studio, on a factory floor, in a helicopter - we've been there and enjoy doing that! Our hallmark is small scale programs, executed quickly and well. While digital and computer technology has enabled great change, we believe the people involved are the most important element at the table. We develop relationships with most of our clients that lead them to rely upon us as solution providers. We will not over-sell a project, but can be very creative with tight budgets to assure an effective communication job. Our self-contained status allows us to support confidential corporate initiatives, and we provide fast turnaround thru our own production & post-production partnerships. 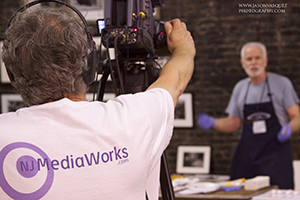 NJ MediaWorks provides video for all corporate communications. Video on the web is becoming the #1 item found on websites today. We provide a huge majority of those videos for our clients. Everyone knows that a picture speaks a thousand words, but perhaps a video speaks a hundred thousand? Facebook, Twitter, Instagram... 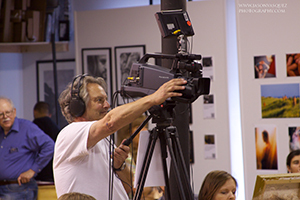 They all use video... we help you get your message out there. Charities work best when they use video.